If you’re looking to advertise at a high-energy, male-dominated event, Motocross (MX) and supercross (SX) are a perfect platform for you. Motocross and supercross have one of the most rapidly growing and devout followings. Savvy advertisers have jumped on the motocross/ supercross bandwagon, sponsoring their logo on motocross gear and ads throughout the arenas. 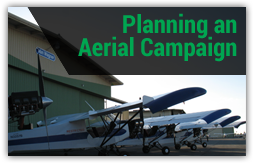 If you don’t want to max out your marketing budget on expensive event sponsorship, aerial advertising is an ideal option to get your brand noticed without breaking the bank. Motocross and supercross attendance has risen significantly in recent years with approximately 12 motocross events and 17 supercross events a year. These events attract more than a million attendees annually, and these numbers are growing both domestically and internationally. 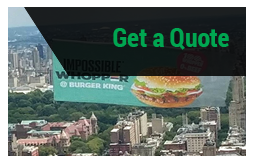 Whether you decide to choose aerial sky banners, skywriting, or blimps, Van Wagner Aerial Media is here to give your marketing campaign a boost! We can help your message cut through the clutter. Keep in mind that roughly 58% of your target audience has a smart phone, so introducing social media into your campaign isn’t a bad idea. Integrating a call-to-action, like “tweet this,” “use this hashtag” or even “call now,” will give your aerial ad even more punch. Could you imagine the brand awareness your product would receive if you did an Instagram call-to-action at a MX/SX event? The numbers would be incredible! 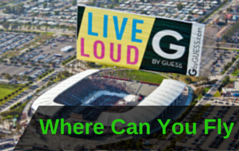 Whether through banner planes, blimps, or even skywriting, aerial advertising gives brands a nearly unlimited number of unique and actionable opportunities to grab people’s attention and get them engaged. Have a question? Contact Van Wagner Aerial Media today, or click below for a free quote!